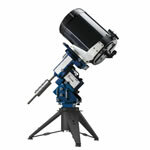 The most widely used research telescope on earth now comes with the most advanced optical system in space. 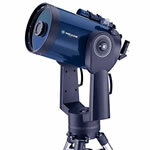 Meade's all new LX200-ACF brings Advanced Coma Free optics within reach of aspiring astronomers everywhere. Now you can own what the professionals own. 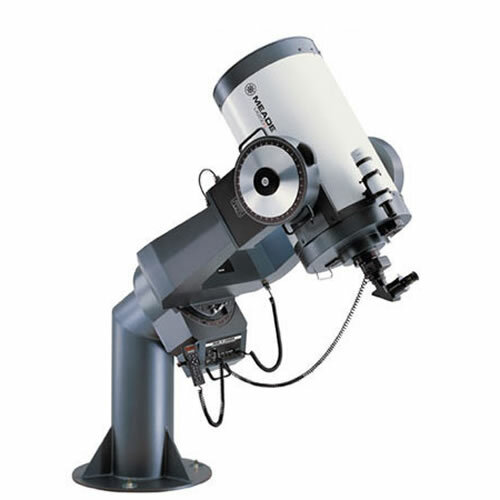 The LX200-ACF includes all the field-proven features of the LX200 including GPS, Primary Mirror Lock, Zero Image-Shift Microfocuser, Oversized Primary Mirror, SmartDrive, Smart Mount, AutoStar II and more. Plus, the LX200-ACF comes with observatory-class optics crafted in Irvine, California, and a Series 5000 26mm 5-Element Plossl eyepiece. The new LX200-ACF. 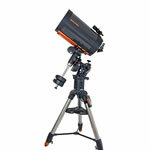 It's the biggest news in astronomy since, well, the LX200. 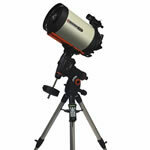 f/10 Advanced Coma Free Optics: The Advanced Coma Free optical design is perfect for discerning astrophotographers. 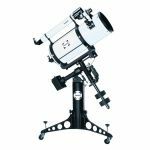 The LX200-ACF is the perfect platform for the demanding researcher and imaging enthusiast with telescopes available in apertures of 8 inches, 10 inches, 12 inches, 14 inches, and 16 inches. Oversize Primary Mirror diameters are greater than their listed aperture (e.g., the diameter of the 8" LX200-ACF is actually 8.25"). 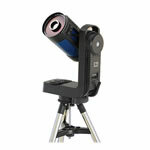 This additional 1/4" yields a wider fully illuminated field-of-view. 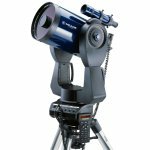 AutoAlign Telescopes with Meade's new AutoAlign come pre-aligned.They are smart scopes that know the night sky right out of the box. 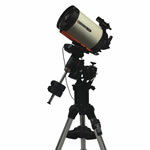 AutoAlign picks two fail-proof alignment stars for you and places them right in your view-finder. Just center them to fine tune your alignment and the wonders of the universe are at your fingertips.